What’s better than two daily opportunities to get up close and personal with an Aquarium animal? Twice as many opportunities. Beginning in July—that’s Saturday—Live Animal Presentations will be offered four times daily, at 10:45 a.m., 11:45 a.m., 2:15 p.m., and 3:15 p.m. in the Blue Planet Action Center. Listen as interpreters, who bring an animal from behind the scenes, showcase it during a formal talk. 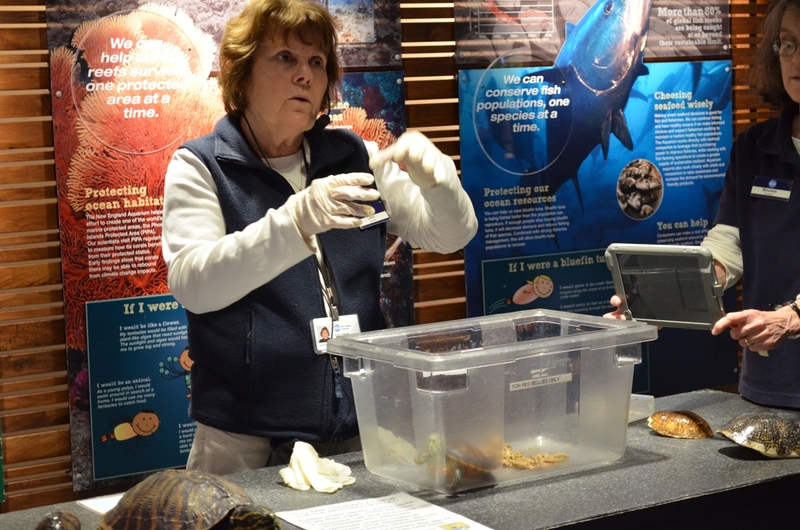 An Aquarium interpreter gives a Live Animal Presentation in the Blue Planet Action Center. Some of the animals you could see are a box, Blanding’s, red-bellied cooter, and snapping turtles; a pacman (or Argentinian horned) frog; a cane toad (named Michael, of course); lobsters; and an axolotl, an amphibian with a wide mouth and external gill stalks. 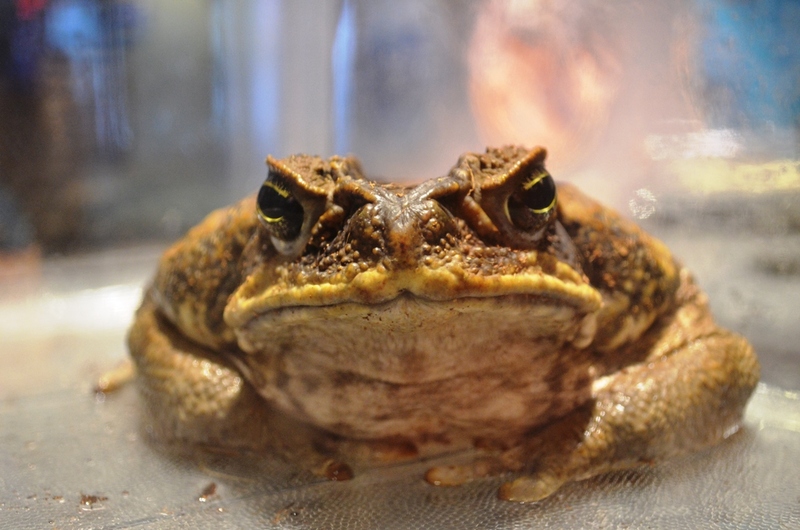 or Michael, our cane toad, and hear how unfortunate it was when his species was introduced in Australia to battle a pest. 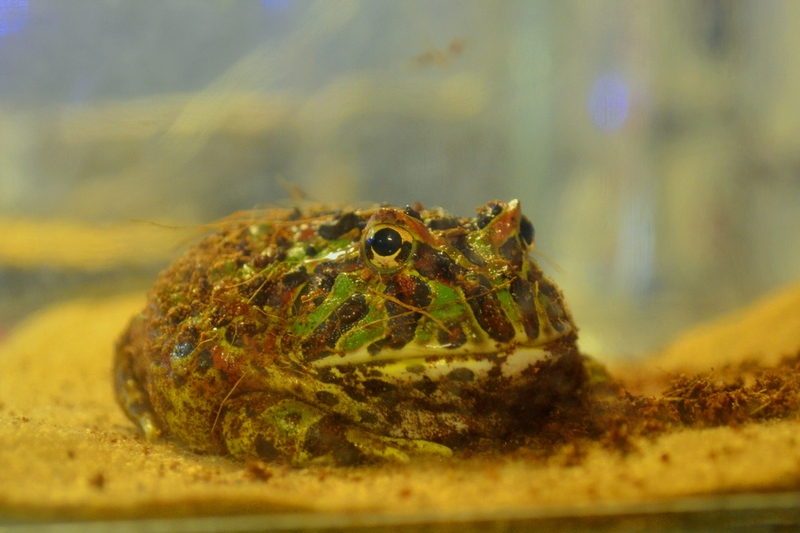 This Argentinian horned frog is also known as a pacman frog. 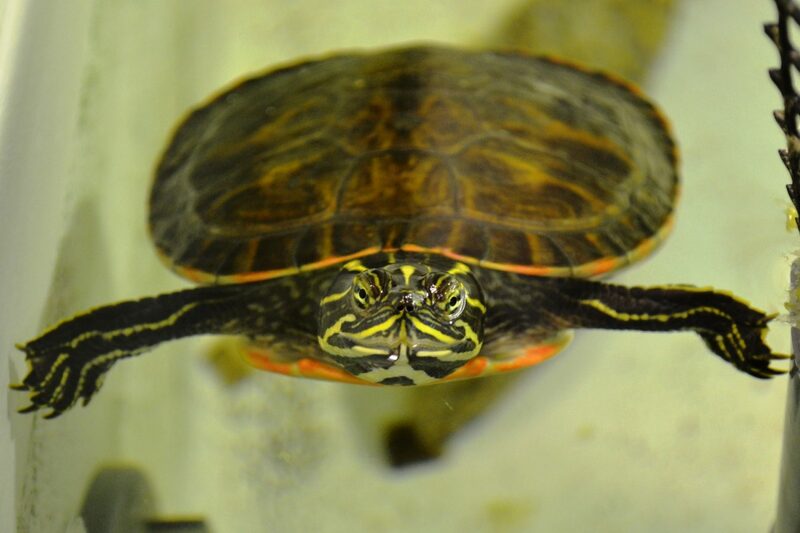 This cutie is a red-bellied cooter. 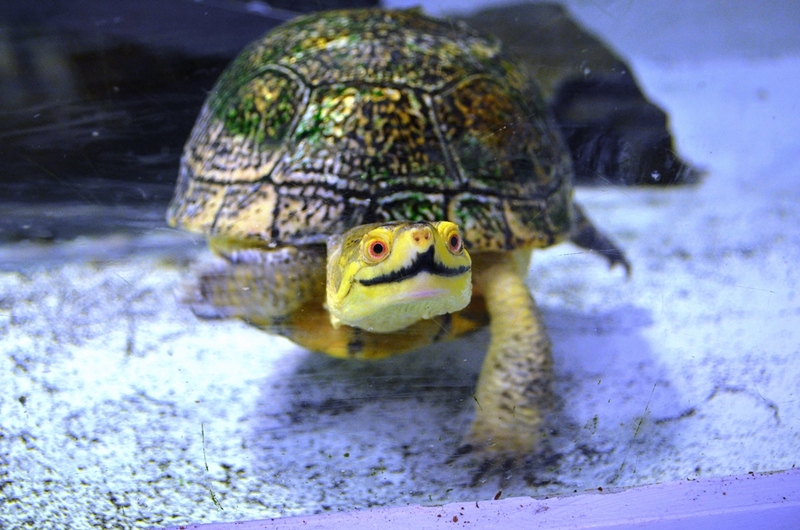 The New England Aquarium is helping to increase the number of red-bellied turtles in Massachusetts. When the baby turtles hatch in the fall, some of them are brought to institutions like the New England Aquarium, and they are raised over the winter.